Fujifilm Camera Bundle Just $80! Down From $140! FREE Shipping! 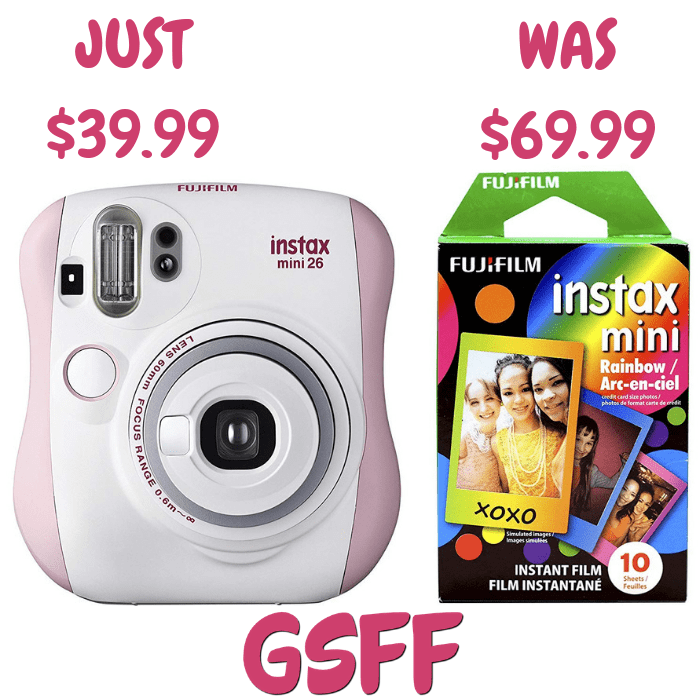 Fujifilm Instax Mini 9 Instant Film Camera Bundle Just $80! Down From $140! FREE Shipping! 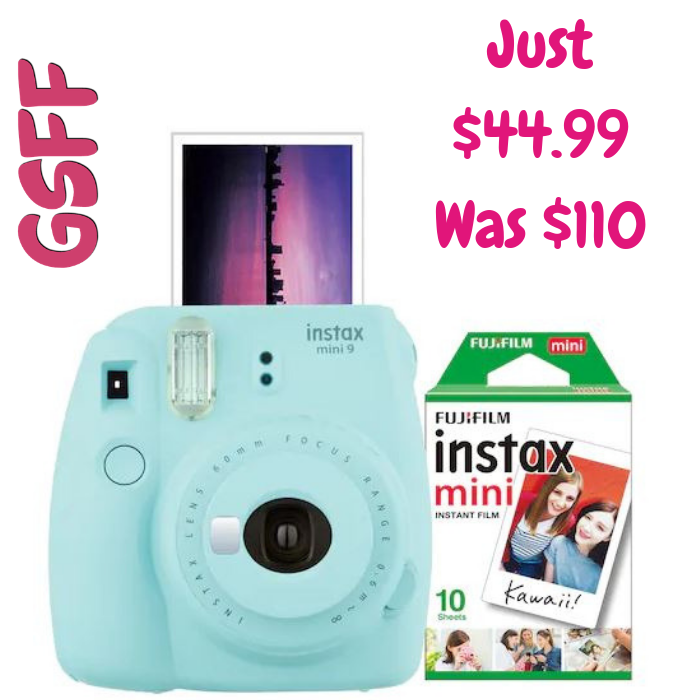 Hurry over to Walmart where you can get the Fujifilm Instax Mini 9 Instant Film Camera Bundle for only $79.99, down from $140, PLUS FREE shipping! The Fujifilm Instax Mini 9 Instant Film Camera Bundle is a fashionable and compact option that will perfectly suit your style. You can take gorgeous portrait and selfie photos with this miniature camera. 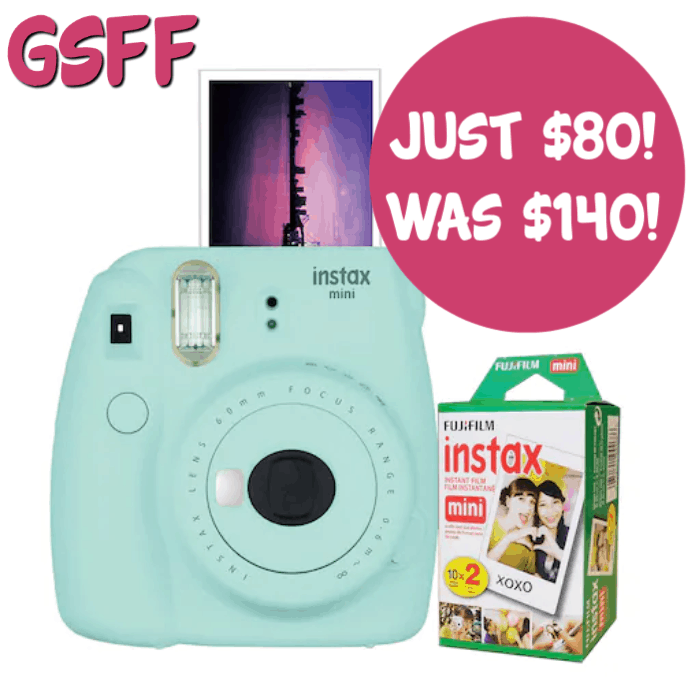 The set includes a Fujifilm Instax Mini 9 Instant Camera in Ice Blue, a Fujifilm Instax Mini 2-Pack Instant Color Film, a Fujifilm Groovy Case, and a photo wallet or album. Take Extreme Close-Ups: A close-up lens adapter allows you to capture shots as close as 35-50cm away from the lens. Explore your creativity with the added option of macrophotography. The camera is perfect for taking photos of insects and other smaller creatures and objects. Brightness Adjustment: Scans the environment to determine the ideal brightness setting, then immediately lights up on the corresponding lamp. Take Perfect Selfies: Designed with a small mirror next to the lens, you can turn the camera on yourself to preview what your selfie shot will look like before you take it. The mirror next to the lens allows you to achieve the perfect angle for a selfie. Fujifilm Instax Mini Just $39.99! Down From $70! Shipped! TODAY ONLY! Hurry over to Amazon where you can score this Fujifilm Instax Mini for just $39.99 down from $69.99 PLUS FREE shipping! FUJIFILM’s INSTAX Mini 26 instant camera, with its simple operation and streamline design provides you with the opportunity to share one-of-a kind photos with family & friends anytime, anywhere! These sleek and sophisticated instant cameras come in four colors – Black, White, Pink/White and Blue/White. The simple operation featuring a high-quality FUJINON lens provides great 2”x3” instant photos in as little as 90 seconds. With built-in automatic exposure compensation, the right amount of light is captured in most shooting situations, including low lighting. A close-up lens (included) allows you to capture great detail in your photos and a selfie mirror mounted on the lens provides perfect framing for selfies of you and your friends! Fujifilm Instax 9 Bundle Just $44.99! Down From $110!